Ittehad Textiles launched its fall linen collection yesterday only a few days after launching its royal cotton collection 2012. Ittehad fall linen collection 2012 consists of printed unstitched suits that will be appropriate for wearing in autumn and winter season. The outfits in Ittehad fall linen collection 2012 include printed shirts and dupattas and plain trousers. They are quite appropriate for casual wear. 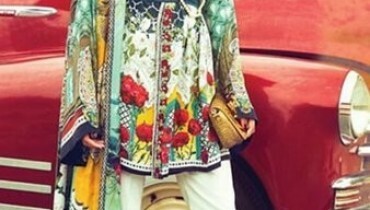 Bright and dark colors both have been used on the suits in Ittehad fall linen collection 2012. On the whole, the designs in this collection are really unique and beautiful. If you want stylish dresses, you can make them out of the fabric in this collection. Ittehad Textiles is one of those companies that have made a solid position for themselves in the textile industry of Pakistan. It provides its customers with many different types of cloth from lawn to linen. The company releases seasonal collections, which mostly receive good comments. The company was founded in 1973 and has come a long way since then. It offers high quality fabrics and stylish designs at affordable prices. Due to its competitive prices and high quality products, the company has become quite popular in Pakistan. Currently, it offers its fabrics through different big fabric stores all over the country. Ittehad fall linen collection 2012 for women can be seen in the pictures below. These pictures are from the catalog of the collection. If you want any of them, get them through a major fabric store near you. 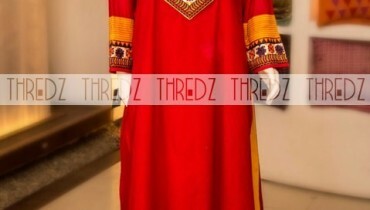 We are sure that many women will find Ittehad fall linen collection 2012 quite appealing. So, go and get them soon if you want them so that you do not have to face the disappointment of stock out. For more information and for viewing more prints by Ittehad Textiles, go to the Facebook fan page of the company. The address is below.